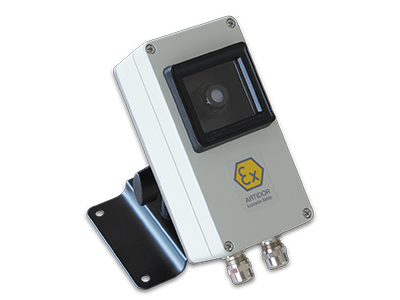 The explosion-safe Artidor twilight switch is based on a highly sensitive photodiode and modern electronics and offers an electrical output that can deliver up to 2.000 VA on pure resistive or light inductive loads and an additional potential free contact. The twilight switch can be applied successfully in circulation areas, staircases, storage spaces, cooling and freezing cells and business areas where safety and good visibility are important. The twilight switch meets the latest explosion safety requirements and can be applied in a wide range of locations with potentially explosive atmosphere as a result of gas or dust. 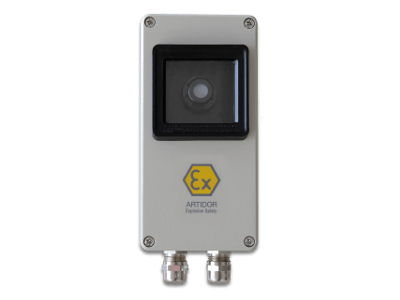 The Artidor twilight switch is certified in accordance with the European ATEX Directive 2014/34/EU (ATEX 114) for use in gas or dust hazardous areas and is CE marked.